Blossom was one of three pregnant female alpacas we purchased from Curt and Nancy Gedney at Hummingherd Alpacas. We knew we loved the look and feel of her, but little did we know she would be EXACTLY what our breeding program is now all about. 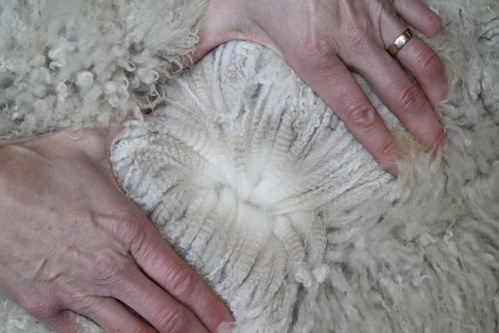 Sustained fineness through age, high curvature of fleece, and strong lineage. She has definitely been THE foundation of our white herd. - Pedigree. 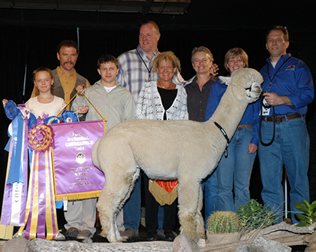 Rocky's sire is Snowmass Starquest- 2003 AOBA Champion and Futurity Reserve Champion. Starquest brings Augusto, Vengador, Navidad, and Isabella. Rocky's dam is our own Blossom of Snow. 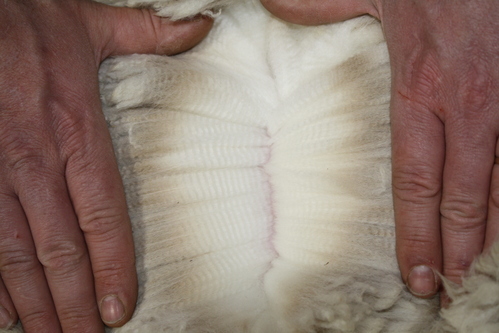 This Snowmass Perfection daughter has been a consistent producer of elite fleeced offspring that maintain fineness into adulthood. 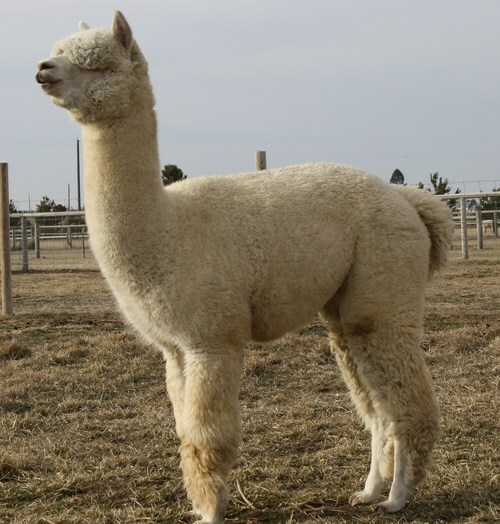 - Progeny- Rocky's first offspring, a female out of an Accoyo America Ulysses daughter born 10/2013, is DENSE, DENSE. As she has grown we are seeing excellent organization in a fleece that is extremely bright and fine. 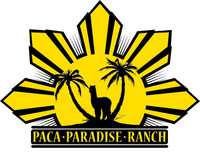 ******Rocky's daughter won the Reserve Color Championship in the white class at 2015 CABA Classic! 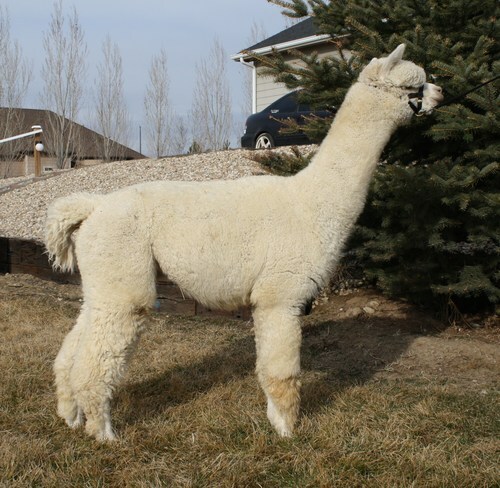 AND SOLD TO CAS CAD NAC TO JOIN THEIR WORLD FAMOUS INCREDIBLE BREEDING PROGRAM ********* Rocky's cria from 2014 are nothing short of spectacular- excellent density levels, high curvature character, and a very high degree of fineness. 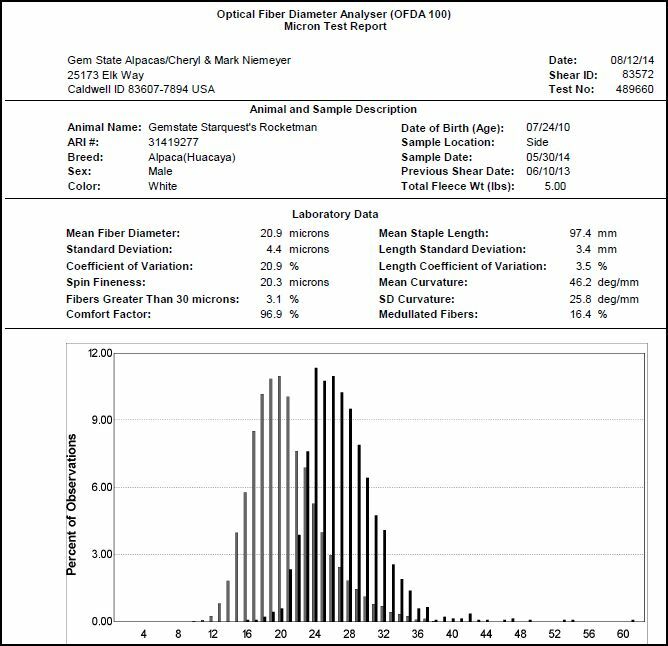 If you are looking to infuse lasting fineness with consistency and bring density as well as a high frequency/low amplitude (think zipper crimp) crimp style, then strongly consider introducing Rocketman to your girls and see the results and improvement first hand. Fleece samples available upon request. 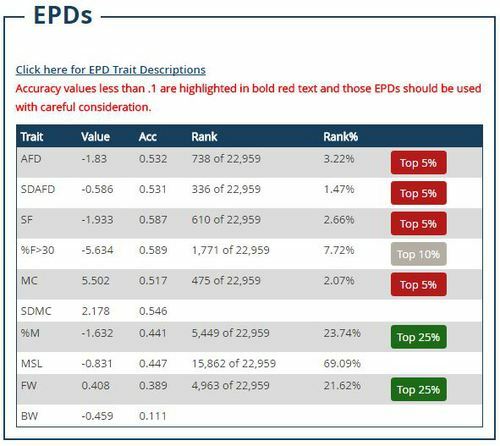 Combine his 5 year histogram, EPD stature, consistency seen across his first group of offspring from a variance of dams, and his genetic depth- a move from our farm to yours is a solid and worthwhile investment. Rocky has all the superior qualities in a stud. 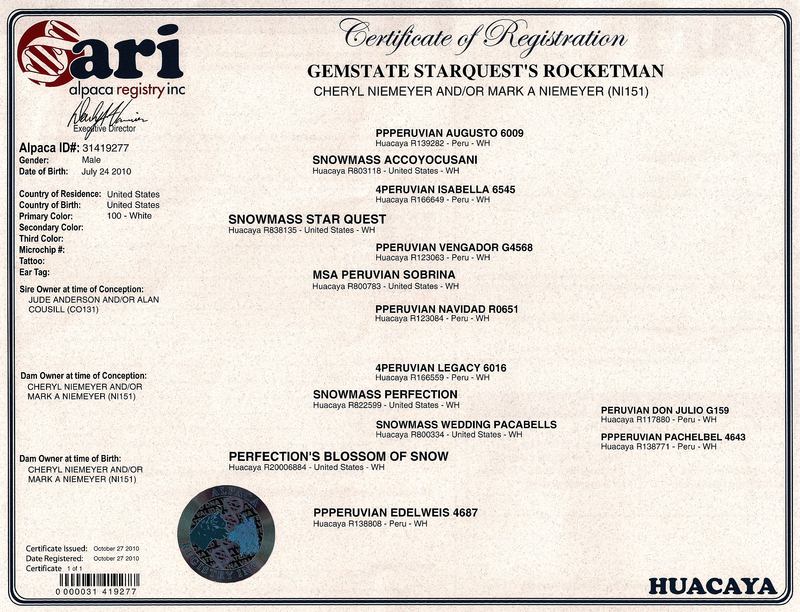 He has routinely stamped superior and sustained fineness in his offspring, along with stamping his head that he inherited from his sire, Snowmass Starquest. An astute breeder will recognize his potency and investment.